Find us in Essex! 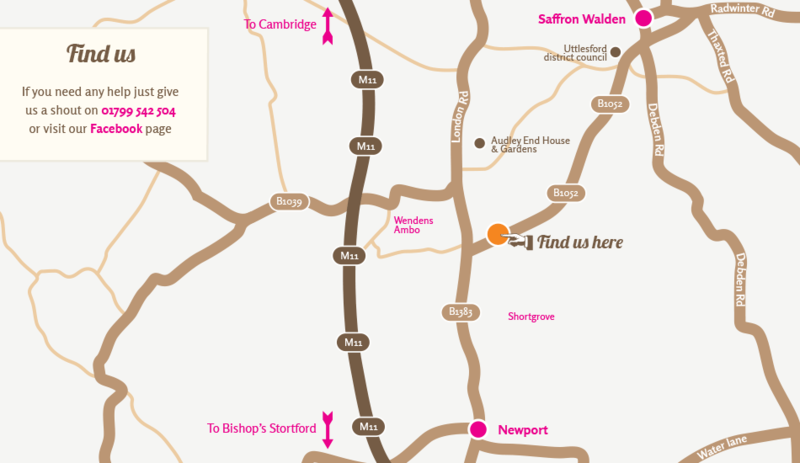 Our shabby chic showrooms are elegantly perched between Saffron Walden and Newport on the B1052, not far from the M11. We’re open Fridays and Saturdays 10am to 5pm. If you need to visit at any other time then just get in touch and make an appointment! So if you’re seeking unique style for your next home makeover project why not come over and shop in relaxed surroundings. There’s on-site free parking too! Grab a sneak peek at what’s in store by checking out our photo gallery. 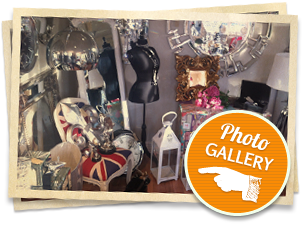 Who knows what treasures you might find in our Aladdin’s cave of curiosities. Furniture, mirrors, lighting and the rest – you won’t believe how much great stuff we’ve managed to cram into our inspirational showrooms. New stock is arriving all the time, and we have too much to show you everything here on the website, so make sure you come and explore for yourself, we might even put the kettle on in anticipation.